This is the Official blog of Five Star Author, Writer and Poet Shaunak Chakraborty. It was the year 2012, I was studying in sixth standard and was posted in Dinjan which was a small as well as a poor city of Assam. I belongs to a metropolitan city so it was very difficult for me to adjust in this type of place. It was the month of December, I was suffering from cough and cold, the doctor recommended to consume at least two spoon of honey everyday. My father bought Dabur Honey, when I asked him that there are many other companies of honey then why he has chosen the Dabur only ? he told me that this is a well-known and old company so it sell only good products. After I became fit and fine I left consuming honey, then most of the time we don't need to consume it as it requires only the in winter season. After two years it expired so we completely left consuming it. One day my mother was going to throw the bottle into the dustbin, I stopped her and requested not to do this, she agreed with me. It was printed on the bottle, '100% pure,' 'No added sugar,' and 'Guaranteed pure,' I thought that it might be the best company but I was wrong. After three years I saw that a thick layer of sugar has been settled in the bottom of this bottle as time passes the amount of sugar started increasing inside the bottle and the reality got exposed. Six years has been passed and now I can see the amount of sugar is more than the amount of honey. 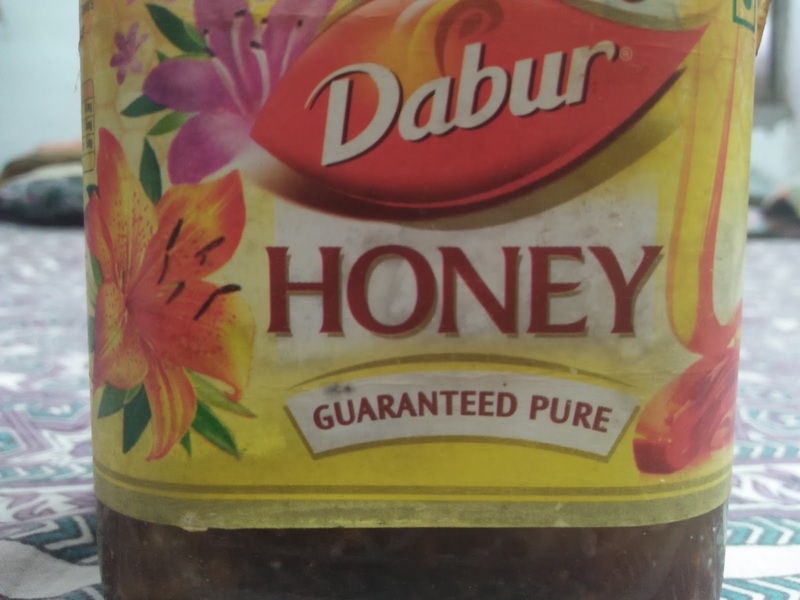 Cap of the bottle is full of oil and dirt so I cleared it with a unused spoon so that the logo of Dabur company can be seen properly. The main moto of writing this article in the form of story is not to abuse Dabur company but to spread awareness among people that there are many other companies which are working with honesty, everytime old is not gold. If you have some thoughts in your mind please let us know.